Directions: Heading North on Piedmont. Cross Sandy Plains. Home on RT. Summary: Move-in ready. Open & flowing floor plan. Hardwoods on entire main. 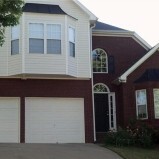 Updated kitchen, extra large bedrooms, bonus room in basement. 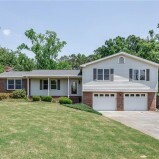 Super large (.81 acre), private, wooded & level backyard. Perfect for those summer afternoon & evenings to relax & entertain. Directions: Heading South on Hurt Road, Turn RT Pine Needle. RT Rockingway. LT Greenway. Home on RT. Summary: Move in ready ranch with hardwoods throughout. Totally remodeled kitchen features: Grantie countertops, tile backsplash, stainless appliances, sink and cabinet pulls. Screen-in back patio perfect to enjoy cool spring/summer evenings. Fully fenced, private, wooded backyard. 1 year pre-paid security system. Professionally managed. No pets. No Smokers. Directions: Heading West on Dallas Acworth Highway turn RT into subdivision. 1st LT. Home on RT. Summary: Move-in ready 4 bedroom, 3 full bath home on level, private, fully fenced lot. Main floor bonus room is possible 5th bedroom. Large open and flowing floor plan. Kitchen offers breakfast area, island and small bar area. No Pets. No Smokers. Easy Application process. Summary: Ground floor one-level condo living. 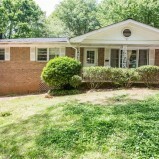 Great deal in the heart of historic Vinings. Private Wooded View. 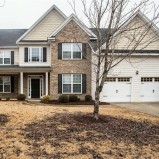 Hardwoods, ceramic tile in bathroom, granite tops in kitchen with lots of cabinet space. Energy efficient windows. Community pool, lighting tennis, fitness center, clubhouse with kitchen and bbq area. Ample guest parking. Assigned parking space #60. Summary: Move-in Ready, Upgraded, 3 bedroom, 2.5 bath home in private cul-de-sac. Formal living room, dining room, and breakfast area. Private backyard. Close to everything. Professionally managed. No Pets. No Smokers. No Exceptions. Easy Application Process. 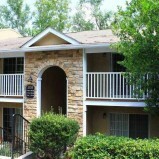 Summary: Great neighborhood within walking distance of shops, restaurants, entertainment in HOT, HOT, HOT downtown. Vaulted Entry. Formal: Great Room, Dining & Living. Hardwoods on Main except Family Room which is carpeted. 3 Bedroom, 2.5 bath home. Large Master Suite with Large Master Bath that features double vanity, jetted tub and separate shower. Two other bedrooms access jack & jill bath. Upper level laundry room. Deck, 2 car garage and good-size yard. Great school district. Walk to elementary school. Walk to new outlet mall. Close to I-575 and Towne Lake. Swim & Tennis Community.